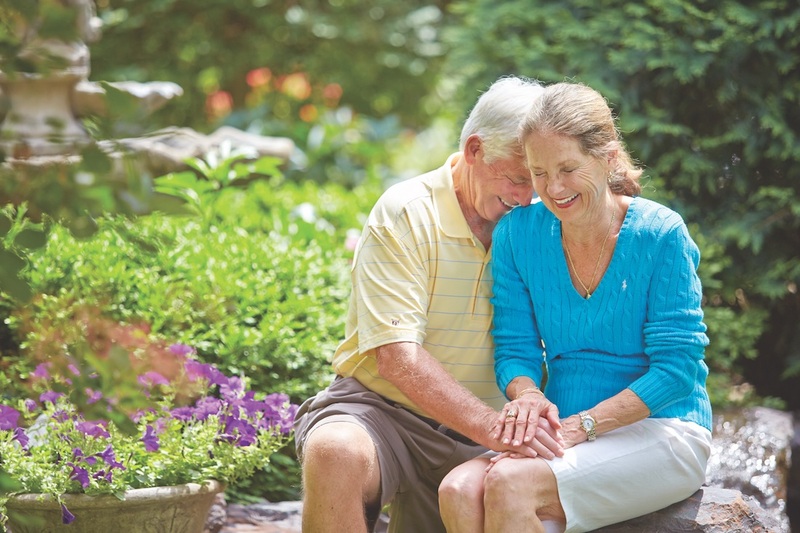 As life spans continue to increase, more and more seniors are moving into senior living communities as couples — rather than individually. That, of course, is wonderful. At the same time, it can present some logistical questions. Especially for couples moving into assisted living. Some questions may be, “What happens if each person has different care needs?” This is a common occurrence, and there are solutions. Bob and Mary were both doctors before they retired. They’re very social by nature. Mary is fully independent, but Bob now has to use a scooter to get around. Every time they wanted to go somewhere, it meant loading the scooter, unloading the scooter, helping Bob back into the scooter, and so on. It started to take a toll on both of them. That’s when they made the decision to move to The Palms of Largo, a senior living community in Florida. Before coming to The Palms of Largo, they had become increasingly more isolated because it was just so difficult to go anywhere. But that’s completely changed now. Mary attends regular exercise classes and they both have friends to socialize with. “Now, they're completely different individuals and different as a couple for the better, because they have everything right here,” says Lindsey Edwards, Director of Sales and Marketing at The Palms. A key to success stories like Bob and Mary’s is to find the right community that can serve both partner’s needs. 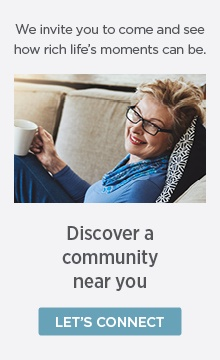 While it’s more and more common for senior living communities to accommodate couples, it still pays to do research on the options available in your area. The best case scenario is to find a community that serves your needs today and also allows for changes in your circumstances. Bob and Mary, like many couples, were able to move into The Palms and live together. Bob just needed a little more support. However, and that’s available in their community. However, sometimes a couple’s care needs can be very different. When care needs are very different, then a couple may need to live apart, even if in the same community. For example, one partner might have dementia and live in memory care while their spouse requires only minimal support in assisted living. That’s actually fairly common, according to Lindsey. “We have a lot of couples who move in but live in separate apartments,” she says. That can actually be very reassuring. “Couples can still dine with each other and do activities with each other, but they have their own space. They both have a place where they're both going to have the best quality of life, day to day,” Lindsey adds. It’s a win-win situation and one that’s becoming increasingly more common.